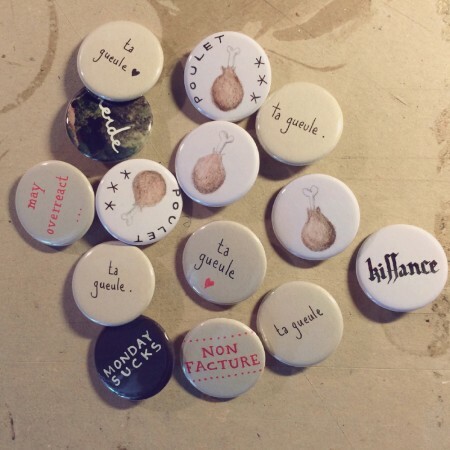 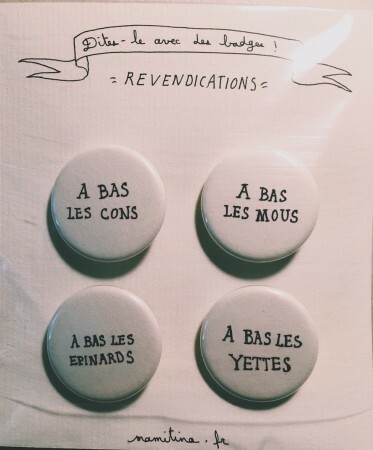 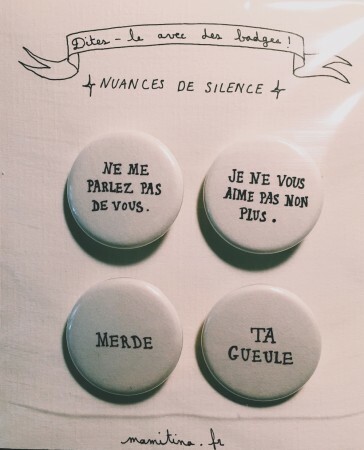 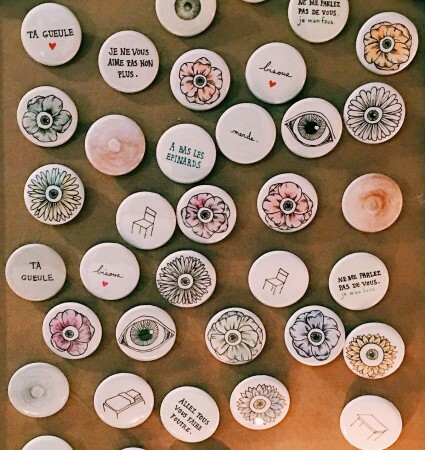 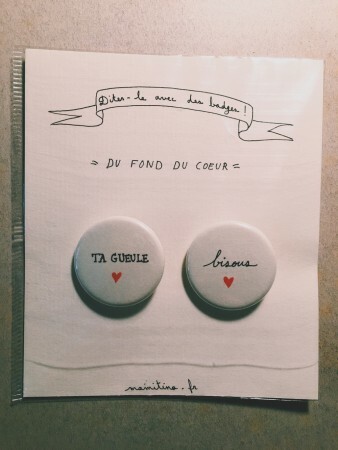 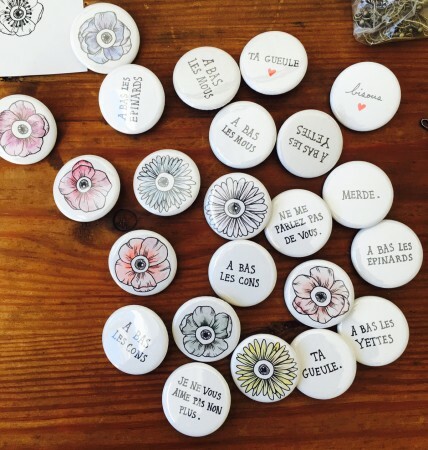 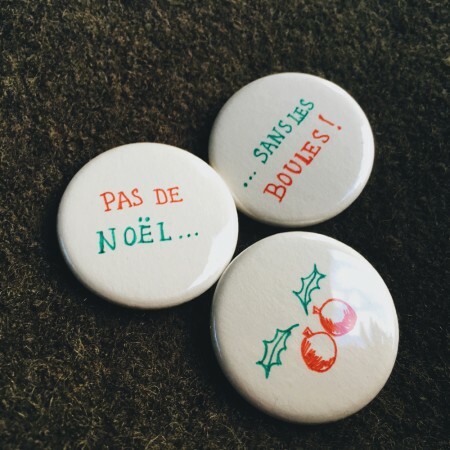 Dites-le avec des badges ! 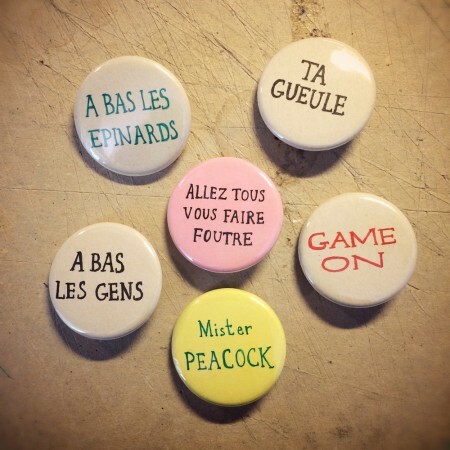 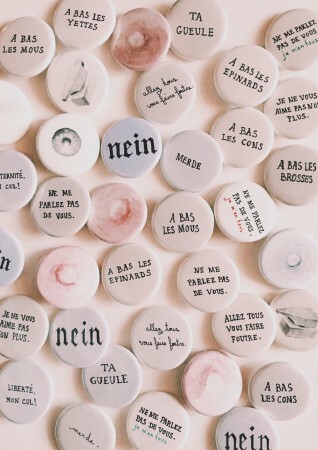 Say it with pin badges ! 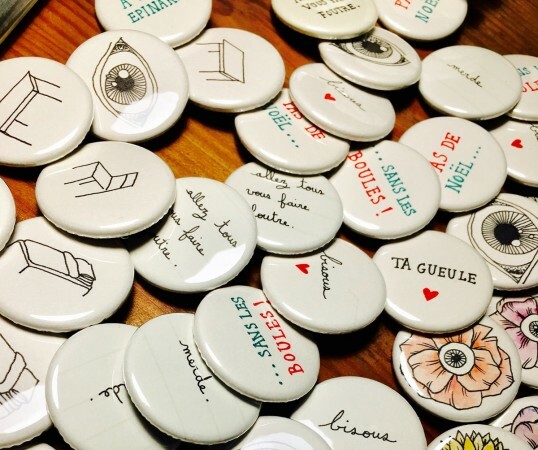 I mostly make hand drawn and hand written badges in tiny quantities. 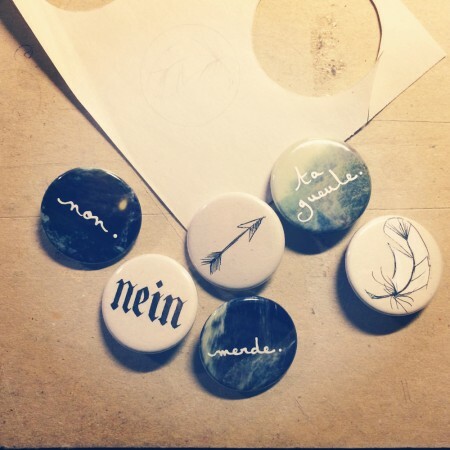 But I can also make printed one in big quantities with some logos or particular order! 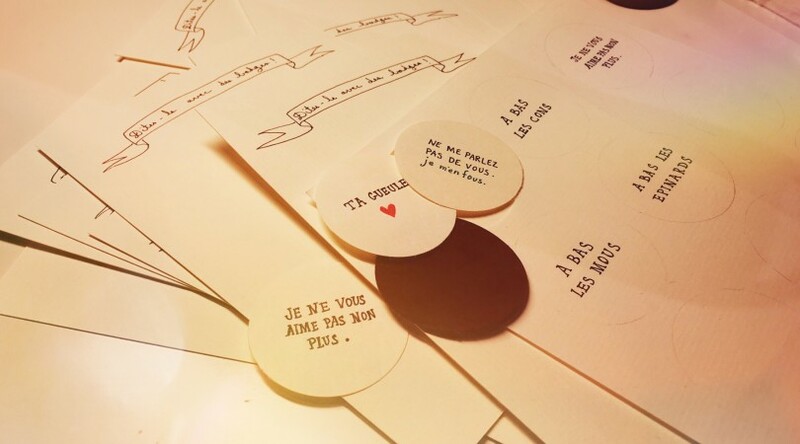 Feel free to contact me for more informations.